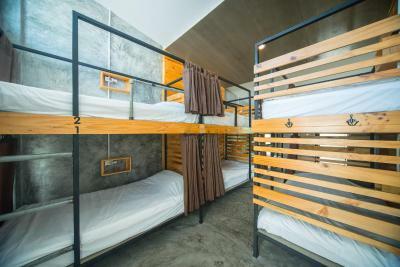 Lock in a great price for ChillHub Hostel Phuket – rated 9.2 by recent guests! AC on in the rooms all day! Drinking water in the fridge! Nice new bathroom near the lobby! Quickmart next door for essentials! Plenty of eating options nearby! The pool is excellent! The hostel can help you book a taxi in advance. So getting picked up and going back to the airport was easy. They also had a simple breakfast waiting every morning. But my favorite part of Chillhub was how clean and peaceful it is. They have hammocks, swings, benches, tables, and beanbags to use. The pool was also quite nice. The outdoor decor was really charming as well. 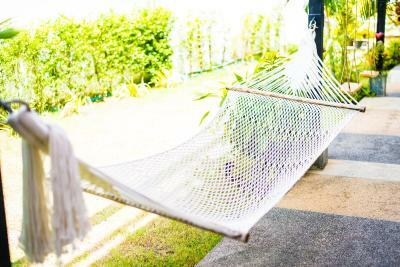 I liked the rooms, the garden with Hammocks, the pool and specially the cleanliness everywhere. The bed was rather hard , seems to be common in Thailand but I slept wonderful. Indeed, I booked for one night and stayed 3. the Manager/owner very helpful, nice and fluent in english. The hostel was very clean for a hostel that is closeby to the beach. The place was modernly furnished. This is a lovely hostel and accommodating staff. However when you check in they are quite intrusive and kept coming into the room every few minutes because they weren't organised enough at check in. 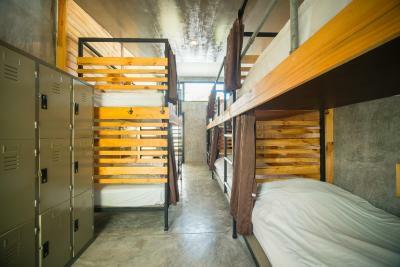 It is more expensive than many hostels in Thailand but it is an expensive area so they are utilising that. I would highly recommend staying here though. Good location and very lovely hostel. I really love the bed there and the landlord is very kind to me.Thank you very much. I loved everything about this place. Starting with the nicest smile from Praya (I think), front desk person. She was helpful and charming. The place is walking distance to the beach. There's a refreshing pool. Everything you may need is close by: restaurants, banking, shopping, pharmacy... One of the best massages I received in Thailand was right next to the hotel (I forgot the name but the ladies wear an orange uniform). The photos in the ads...are exactly what you can expect. 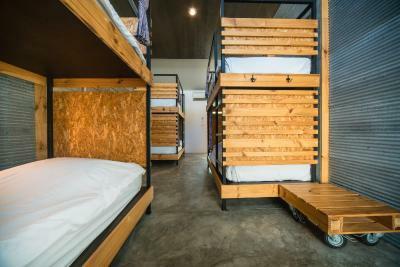 ChillHub Hostel Phuket This rating is a reflection of how the property compares to the industry standard when it comes to price, facilities and services available. It's based on a self-evaluation by the property. Use this rating to help choose your stay! 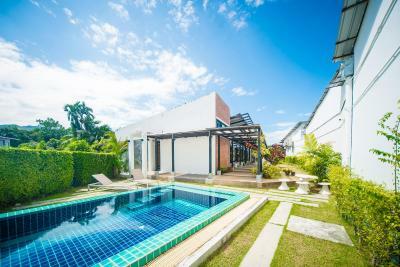 One of our best sellers in Bang Tao Beach! 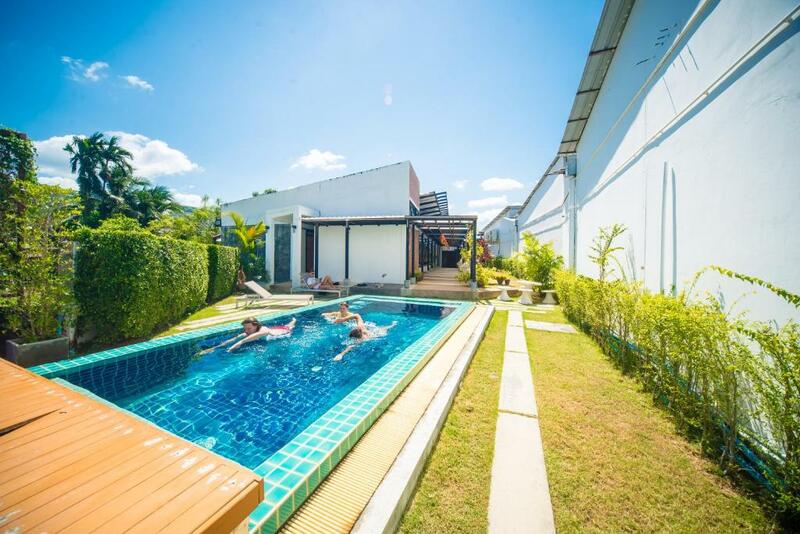 Located in Bang Tao Beach, Chillhub Phuket offers an outdoor swimming pool. 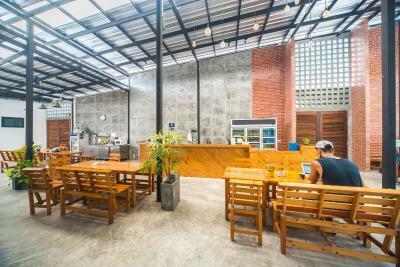 Located around a 3-minute walk from Catch Beach Club, the hostel is also 0.9 mi away from Tesco Lotus Supermarket Cherng Talay. The property features garden views and a terrace. 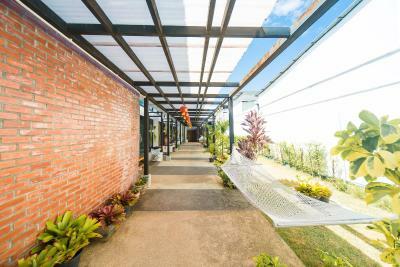 At the hostel, the rooms have a terrace. 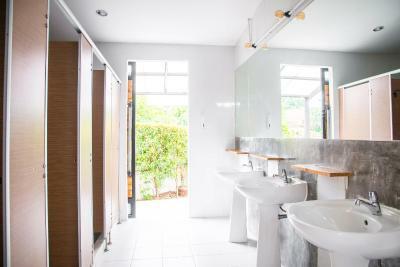 Rooms are complete with a shared bathroom fitted with a bath or shower, while certain rooms are fitted with a patio. Cherng Talay Police Station is 1.2 mi from Chillhub Phuket. Phuket International Airport is 8.7 mi away. 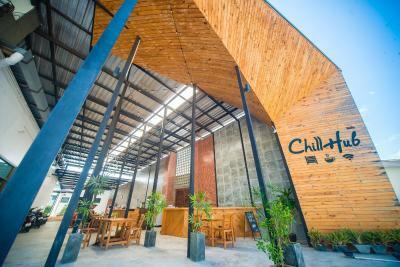 When would you like to stay at ChillHub Hostel Phuket? 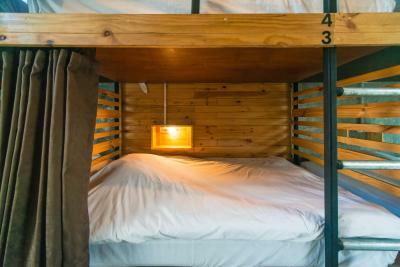 This bed in dormitory has a seating area, air conditioning and patio. 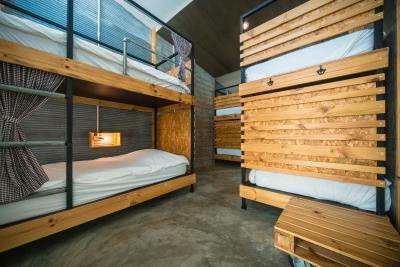 This bed in dormitory features a patio, air conditioning and private entrance. 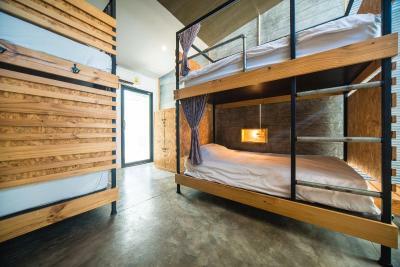 House Rules ChillHub Hostel Phuket takes special requests – add in the next step! 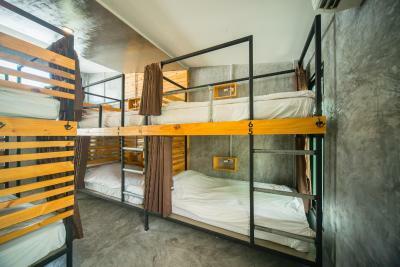 ChillHub Hostel Phuket accepts these cards and reserves the right to temporarily hold an amount prior to arrival. 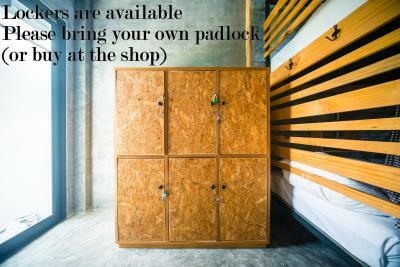 Please note that guests should bring their own lock for the lockers. Lovely hostel. Everything you need. Great communal area and pool. Open planned. Perfect Location. Recommend! We had to pay 50 BHT for shower that we took at 13.00, even though rules of house stated that it's free of charge until 14.00. Cleanless, new building, small nice pool. It’s a bit hot around. Maybe some ventilator also from the ceiling will be great. Cozy hostel with the swimming pool on the backyard. Amazing venue, enjoy and take care. 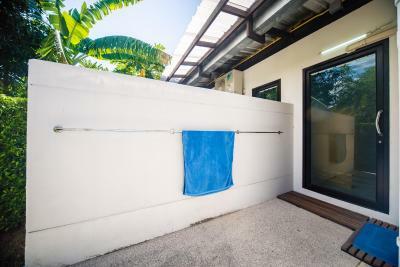 Super location - 1 min walk to Bangtao beach. In just the next door shop you can get soft drinks and snacks. Very friendly and helpful staff. Very clean. Everywhere! Wide comfotable beds with curtains that make you feel in your own space. Very quiet despite the people in the room. 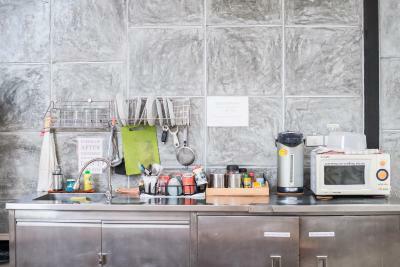 Definitely the best value of money in Bangtao for solo travellers! Staff was very helpful and friendly. 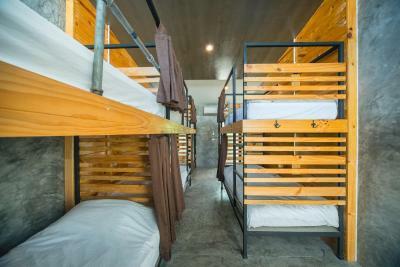 Hostel was in great location with clean facilities. Great value for price. The hostel is really great, rooms and bathrooms are clean, good location (v.close to the beach, jest 3 min walk), staff are friendly. The place had a really nice vibe. You can make tea/coffee & use microwave whenever you want. Very comfortable hostel, beautiful garden with pool and hammocks to hang around, every was very clean, stuff helpful and we'll organized. It's close to the beach and there are many shops and bars around...Also socializing was very easy, people just naturally chat and have a beer together ☺️ Very much enjoyed the stay! 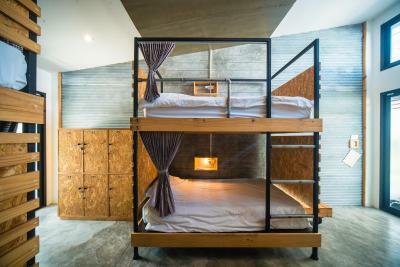 Beautifully done, modern, hostel. 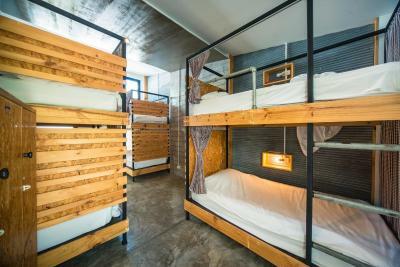 The best dorm-style stay in the area. Comfortable bed and sooo close to the beach. 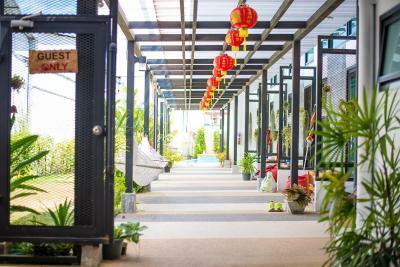 Totally recommand staying here for backpackers & solo travelers. This is up there in the top 3, of best hostels ever.